Home Brew Grains – What you need to know before you delve into the whole home brewing process. You may want to take a saunter down to your local brew pub and see if you can’t get a behind the scenes look at how they brew beer. Some brew pubs or brew houses offer tours where customers are able to see how they brew the beer they so much enjoy drinking. The malts used in the brewing process is really at the heart of what makes a great tasting beer. Whether your home brewed beer tastes light and refreshing or overly malty can be traced back to what malts were used during the brewing process and the brewing process itself. 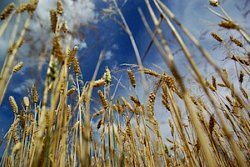 To get you up to speed on home brewing beer, you’ll need a little understanding of how the choice of grains affects the final flavour of the beer and what happens to those grains through the malting process. As a home brewer, you likely won’t have to take the grains through the malting process, but gaining an understanding of which home brew grains produce the best malt will help you select the right malt so that you can get the colour and flavour you want in your beer. The following description is simplified but it should give you a good enough understanding of the process to arm you with just enough knowledge to know what you’re talking about. 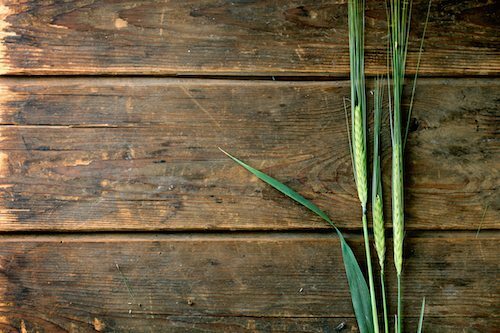 Grains such as barley, wheat and rye go through a process that turns it into malt. The grains are used in seed form which get steeped in boiling water and then germinated. Germination is when the seeds begin to sprout as plants, which releases the stored energy of the seed and jump starts the malting process, converting it to malt mash. It’s this malt mash that we use to brew our beer. During the germination process, the enzymes in the seeds turn the starches into sugar and this sugar – which helps ferment the beer – becomes on of the core ingredients for brewing beer. As soon as the germination process starts, it is quickly suspended. Kilns are then used to dry the grains and the active sugar and enzymes that remain in the malt are what’s used during the brewing process. The malt that you choose has a big impact on the final flavour of your home made beer. When you’re home brewing beer, you are trying to brew a beer that you like – a beer that tastes great to you. To get there, you may need to do a little more research on the malting process or you could just use whatever malt comes with your home brewing kit and then branch out and experiment from there. Whatever you choose to do, through experimentation and other home brewers’ helpful knowledge, you’ll soon figure out which malts produce what you consider to be a fine tasting homemade beer.